…I support a land exchange that protects the Boundary Waters while helping to create jobs in the region and generating much-needed revenue for Minnesota’s schools from lands outside the Boundary Waters. I am working closely with my friend and colleague, Senator Klobuchar, to draft similar legislation that creates jobs, funds our schools, and keeps our enduring promise to be good stewards of our natural resources. This legislation must be crafted in a way that addresses concerns that would hinder its passage by the Senate. The “concerns” the companion bill would address are left undefined. But the biggest objection to the Cravaack bill cannot be addressed. This bill was excoriated on the floor of the House by Reps. Betty McCollum and Keith Ellison for being unnecessary, vague, and for interfering in existing land exchange negotiations. McCollum’s objection is the most salient: where’s the map? On the floor of the House on September 12th, McCollum stated, “this is the first time in the history of Congress that a land exchange bill is being debated without a map … Nobody can tell me how many trails, lakes and hunting areas will be closed by this bill, because there is no map.” This objection would apply equally to whatever companion Franken and Klobuchar would introduce. For years, Minnesotans have been working together to identify a possible solution. Earlier this year, the Minnesota state legislature passed, and Governor Dayton signed, a law calling for the transfer of 86,329 acres scattered throughout the Boundary Waters and owned by the Minnesota School Trust to the federal government. In exchange, the same amount of land in the Superior National Forest would be transferred to the state. Any economic activity on this land would therefore generate revenue for Minnesota’s schools. This would ensure the continued protection of our pristine and unique Boundary Waters from any development. 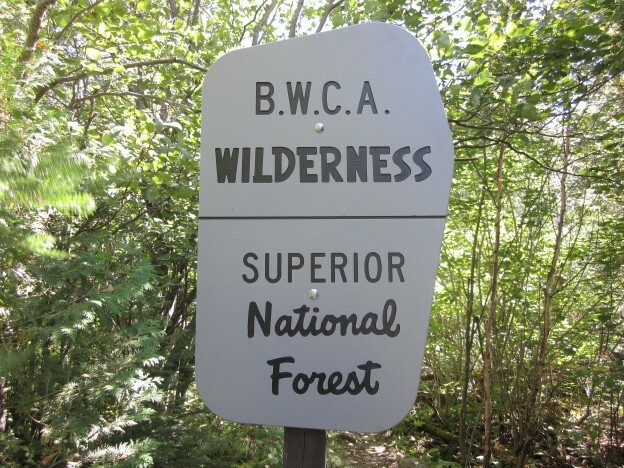 Legislation passed by the Minnesota legislature sets a goal of a one-to-one exchange of school trust land in the BWCA with land outside the BWCA. But the state does not get to dictate the terms of a land exchange, nor is shrinking the Superior National Forest by 86,000 acres good public policy. Previous negotiations have involved a compromise approach of exchanging a portion of the land and purchasing part of the land. Remember, school trust land was meant to be sold. This is why there’s very little school trust land remaining in more developed areas of the state, it was sold to build and fund schools in the 19th and 20th centuries. The BWCA does not need protection from the state in-holdings. They are not being developed, logged or mined, nor would it be legal to do so. If anyone was really concerned about property interests being held in the BWCA that represent a threat, they’d be talking about buying the private mineral rights that underlie a significant portion of the BWCA. But I digress. As I’ve noted earlier, the land exchange bill is a giveaway to mining companies. Specifically, Teck Cominco’s interest in the Mesaba deposit would be aided by the land exchange, since the Minnesota legislature actually specified the preferred location of exchanged lands. That area, dubbed “Children’s State Forest” in another version, would surround the Mesaba deposit, just north and east of PolyMet’s proposed mine. Teck Cominco spent $100,000 lobbying the Minnesota legislature in 2011. It’s incredibly disappointing to see Franken and Klobuchar rush to sign on to a bill that would shrink the Superior National Forest by 134 square miles, especially when we don’t even know what parts would be exchanged. Tell them to let the negotiations continue and to not introduce any bill until there is a map. Contact their offices to register your disapproval, but do it soon. According to some reports, Franken and Klobuchar may introduce legislation as early as Friday.